The best time to plant roses is important to know. 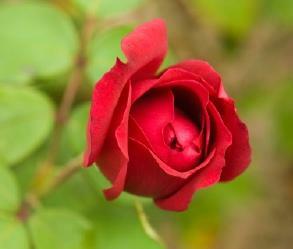 Learn how to plant roses for the beginning gardener. As one of the most challenging plants to grow, yet one of the most popular, it takes small steps to learn how to effectively create a rose garden. The beginning gardener needs to focus on a variety of factors before they can put roses into their garden. However, each climate is unique and each rose needs something different. Take the time to choose a variety you like that will do well in your region. Learn the specifics about your own climate zone and the types of roses that grow well there. It is often best to find a local gardener or visit a local nursery to speak to someone who has specifics about your area. Once you meet with an expert on your local options in roses, choose the right plants to bring home. It is best to purchase roses when they are dormant, in the early spring. Keep them in a cool place until you are ready to use them, while ensuring the root is wrapped in moss. You will want to plant them before spring if possible, so the new shoots can begin to grow. The next step in the process is to ensure the ground is ready for the rose bush. There are several things to focus on here. Choose a location that gets at least six to eight hours of sunlight per day. Ensure the soil has good drainage. Roses do not like to sit in still water. The soil needs to have a more acidic composition. Try to balance the pH in a range of 5.8 to 6.3. You can adjust the soil using additives sold at most garden stores. Testing kits are also available here. Give the rose space. They will grow outward and upward, if they have room to do so. Keep at least two to ten feet between larger bushes, depending on the variety of rose you select. Monitor the soil for pests. For the beginning gardener, these pests will work against you in growing roses. Ensure that you use an organic treatment on the soil if it has ants, fleas or other pests. With the rose chosen and the ground prepared, you can easily plant the rose bush. To prepare the rose bush for transplant, first soak it in water for 24 hours prior to planting.Dig a hole at least two feet deep and around. If you live in a colder climate, bury the roots several inches under the soil. If you live in warmer climates, this is not as necessary. Place the bush in the center of the hole and fill in around it loosely. You will want to mulch the rose bush with organic matter. This contains necessary nutrients your plant needs to get a good start. For the first week, water the rose bush each day, enough to moisten the soil. After this week, you will not need to water as often. Cut back to once every three days, adjusting for the weather. Within a few weeks, you will need to water the roses enough to keep the soil moist. Do not allow it to dry out. Once you get the rose into the ground, nature will work in your favor, in most situations. When you plant roses for the beginning gardener, it may be tempting to move soil and to add too much mulch. It can be easy to overwater, too. To avoid these problems, ask the local nursery where you purchased the rose how frequently to water. You should see shoots coming off the rose within a few weeks. Once you start to see shoots coming from the base of the bush, pull the mulch back some to give it more room to grow. As the bush continues to grow, monitor it for any pest problems (including holes in the leaves). Treat any problems, if they arise.